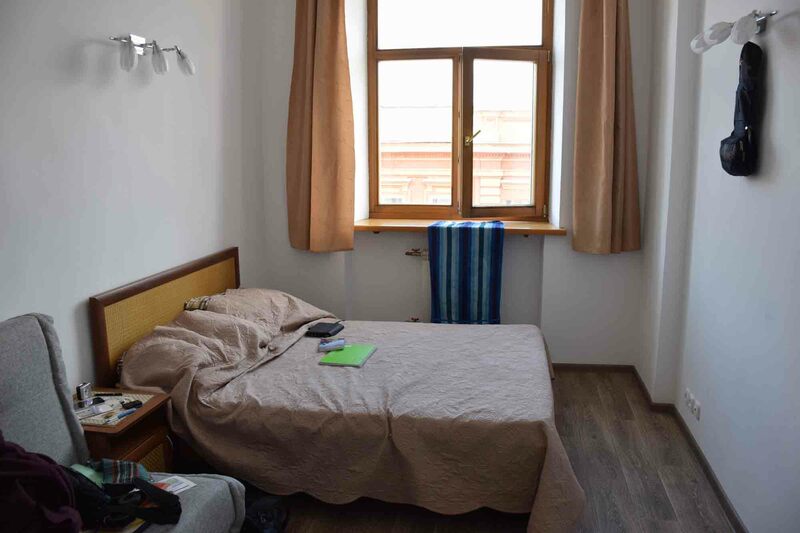 The Baikaler Hostel in Irkutsk, Russia, has a pretty good reputation and I was very glad that I was able to get a room there – especially as there was only one private room in the whole hostel! Apparently it is owned and run by an interesting and friendly character named Jack. Unfortunately for me he was not around for the three days I was in Irkutsk and I missed out on the chance to meet him. Still, I was happy with my time at the hostel. It’s around 15 minutes by tram from the train station. The hostel warns against taking taxis from the station and there have apparently been a couple of unscrupulous taxi drivers taking tourists out to the middle of nowhere and demanding a pile of money to return them to town. Thankfully the tram goes from outside of the train station to pretty much outside the hostel. Finding the entrance is not so straight forward – the hostel is up on the third floor of an apartment building, and you enter from the back. Under an arch and around the back it was like the fourth door along, up the stairs and the top floor to again another very well heated hostel. I was greeted by a very friendly staff member who provided me with a lot of information. On top of that, I had arrived early in the morning, 7am or so, and she was very kind to let me catch up on a few hours of much needed sleep in one of the two dorm rooms. My room was occupied at the time. The dorm rooms had I guess 6-8 beds in each. However, there was no-one in the one I lay my head down in. So yes, it wasn’t very busy at the time, maybe running (mid-May) at a little under half-capacity. Which was probably a blessing as it’s not huge. There are two toilets and one shower for the entire hostel, total capacity at around 16-18 people. So if it was full there could be quite a wait. The kitchen is great, but again it’s small so if the place was full it would mean it’s cramped and people would need to wait a fair while to use it. Laundry service offered (wash only) at 200 rubles a load. The room itself overlooked the street with trams going up and down. The bed didn’t have the best sheets to go with it – it was a large double bed, the sheets weren’t fitted and appeared to be for a single. Still, it was very spacious – they could have chosen to go with a third dorm and easily got in another eight or so beds. Although only one shower, it was a good shower with great hot water and pressure. I didn’t have far to go to get to the toilet in the middle of the night which is always a good thing. 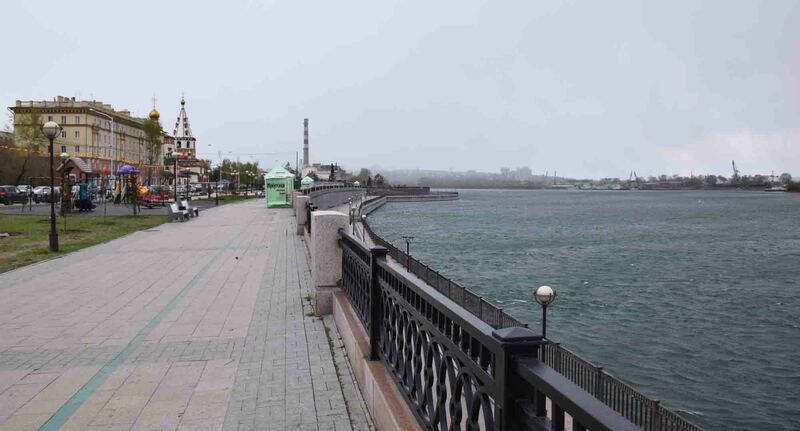 A river view in Irkutsk. All in all this place served me well. I met a number of people here from Russia and other parts of the world and we had good chats. 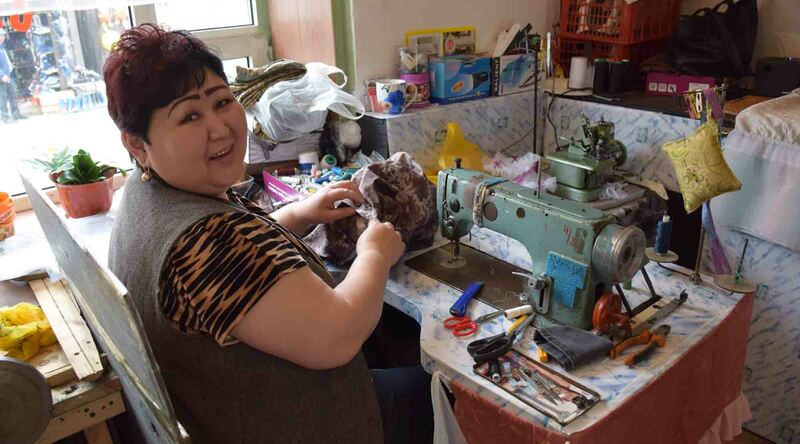 The wifi was a good speed too and the managers were helpful in a number of ways – I needed a zipper replaced on one set of trousers and I was helped to find a lady who did it in less than an hour for less than six dollars. Also, planning a day trip to Lake Baikal I got all the information I needed from the manager too. 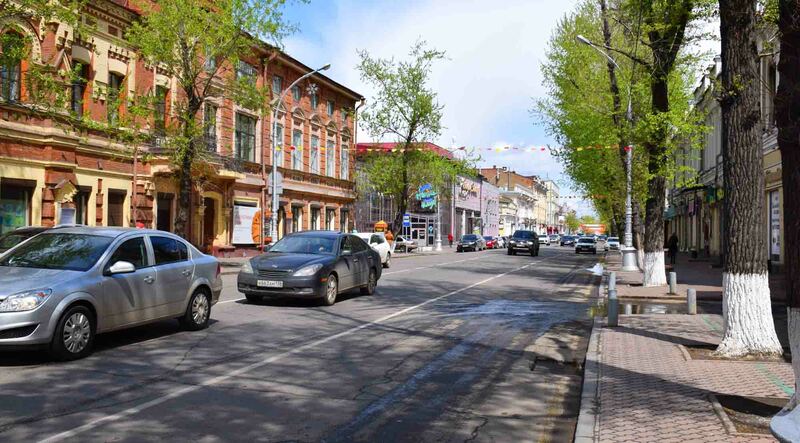 It’s not the best hostel, the cleanest hostel or the quietest hostel I’ve ever stayed in, but it still proved to be an excellent choice in Irkutsk. 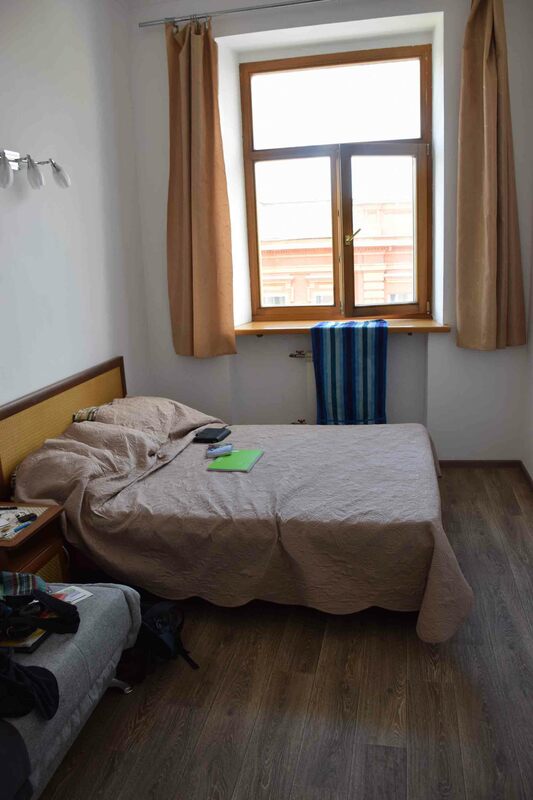 It’s 1500 ruble a night for the double room and 600 ruble for a dorm bed. Thanks for reading – May the Journey Never End!